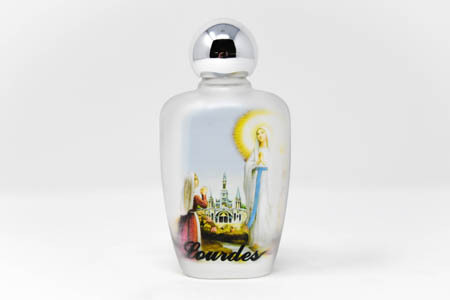 CATHOLIC GIFT SHOP LTD - Lourdes Holy Water in a Colour Oval Vial / Bottle. Lourdes Holy Water in a Colour Oval Vial / Bottle. Lourdes water in a oval glass bottle with a picture of St Bernadette kneeling to Our Lady of Lourdes.